Material engineers improve the road you travel on, the coal used to fuel a factory, and the sidewalk in your neighborhood. Through their study of asphalt and bituminous materials, roads and sidewalks last longer and fuels, like coal, are more energy efficient. The Materials area of emphasis in Civil Engineering provides freedom for students to develop a plan of study that will meet individual goals. Students take a broad range of courses including chemistry, construction, geology, mathematics, mechanics, and other engineering disciplines. Historically, the area has continuously maintained a balance between theoretical, experimental and practice-based approaches to solving problems. 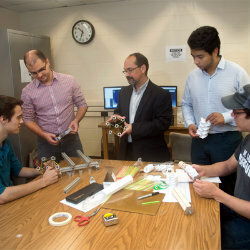 The Materials Engineering faculty are dedicated to teaching and research. 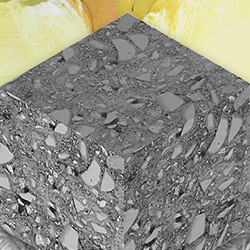 The Materials Engineering Research Facilities offer hands-on experiences to undergraduate and graduate students. 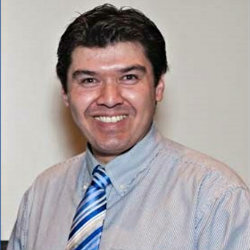 Civil Engineering's Materials group has a loyal alumni network in both academia and private practice around the world. 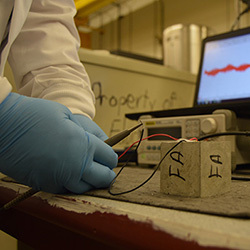 Research is divided into two broad themes: Asphalt and Bituminous Materials, and Portland Cement and Concrete.The American Concrete Institute at Purdue University also offers opportunities for students to bridge the gap between academic learning and professional practice. Rebecca S. McDaniel, P.E., Ph.D., technical director at the North Central Superpave Center at Purdue University, has been elected to the board of directors of ASTM International, an international standards organization that develops and publishes voluntary consensus technical standards for a wide range of materials, products, systems, and services. 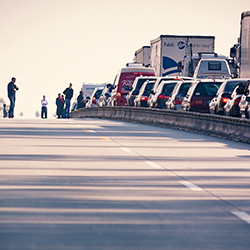 As we approach the holiday season, Purdue Civil Engineering Professor and Indiana Local Technical Assistance Program Director John Haddock offers some advice for travelers. 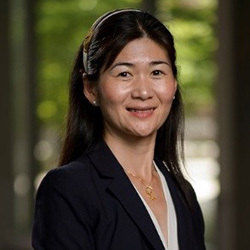 Luna Lu, Associate Professor of Civil Engineering, along with graduate student Aline Elquist and a team of several researchers from Indiana University, has won the 2018 Disease Diagnostics INventors Challenge with $30,000 in funding for a one-year project period. Super-resilient materials found in the animal kingdom owe their strength and toughness to a design strategy that causes cracks to follow the twisting pattern of fibers, preventing catastrophic failure. 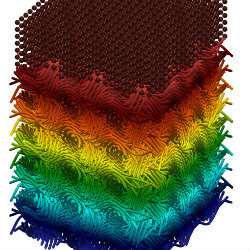 Researchers in a recent series of papers have documented this behavior in precise detail and also are creating new composite materials modeled after the phenomenon. 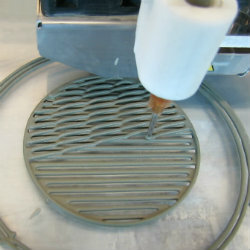 The work was performed by a team of researchers at Purdue University in collaboration with University of California, Riverside. 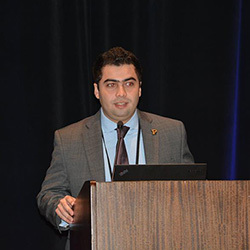 Current Civil Engineering PhD student Miguel A. Montoya was selected by the Association of Asphalt Paving Technologists (AAPT) to receive the 2018 AAPT scholarship. The scholarship is funded by the association with the purpose of increasing the number of scientists and engineers available for careers in the general area of asphalt binder and mixture technologies. 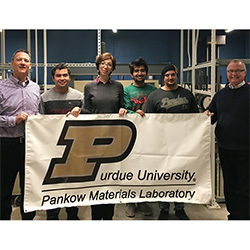 Purdue University researchers studying whether concrete is made stronger by infusing it with microscopic-sized nanocrystals from wood are moving from the laboratory to the real world with a bridge that will be built in California this spring. 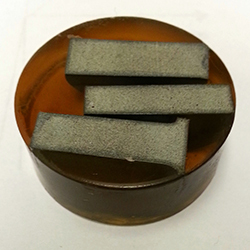 The researchers have been working with cellulose nanocrystals, byproducts generated by the paper, bioenergy, agriculture and pulp industries, to find the best mixture to strengthen concrete, the most common man-made material in the world. Jan Olek, Professor of Civil Engineering and Director of the North Central Superpave Center (NCSC), will give the Della Roy Lecture at the 9th Advances in Cement Based Materials conference to be held June 11-12, 2018 in State College, PA.
Leila Sadeghi, recent PhD graduate and current postdoc research associate of the Lyles School of Civil Engineering, was named a winner in the Graduate category of the 2016-17 Long-Term Pavement Performance (LTPP) International Data Analysis Contest at the 97th Annual Meeting of the Transportation Research Board in Washington, D.C. Motorists enjoying days of above-freezing temperatures after shivering through frigid single digits may encounter a jarring reality by spring. 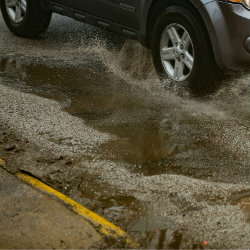 Incidents of freezing-thawing temperatures this winter may result in troublesome potholes as the season progresses. John Haddock, a civil engineering professor and director of Indiana Local Technical Assistance Program, said the drastic nature of temperature swings isn't as much of a factor as the temperatures themselves. 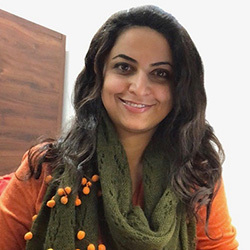 Warda Ashraf, a PhD Candidate working with Professor Jan Olek in the Lyles School of Civil Engineering, has been named as recipient of the 2017 Outstanding Graduate Student Research Award. 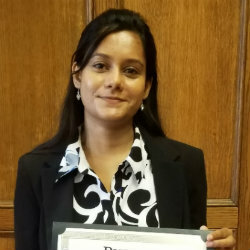 This award by the Purdue College of Engineering recognizes an outstanding PhD candidate who has demonstrated excellence in research through peer-reviewed publications, awards for research, leadership, academic achievements and participation in professional societies. 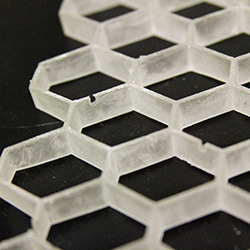 New research has shown that honeycomb "cellular" materials made of a shape-memory polymer might be programmed for specific purposes, from shock-absorbing football helmets to biomedical implants. This year's Leonard E. Wood Lecture was held Thursday, October 27th. Dr. Thomas D. White, Professor of Civil Engineering at Mississippi State University, delivered his lecture titled, "Is Hot Mix Asphalt a Rational Material?" 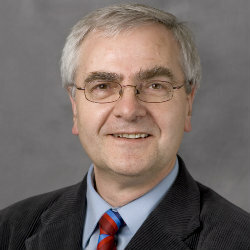 Jan Olek, Professor of Civil Engineering, has been selected to receive the ACI Foundation - Concrete Research Council - Robert E. Philleo Award. The award will be presented at the 2016 ACI Concrete Convention and Exposition this October in Philadelphia. 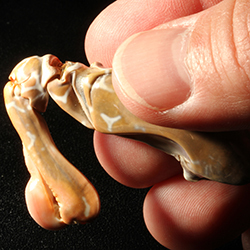 New research findings revealing the structure of a sea creature's impact-resistant appendage are inspiring development of advanced materials for possible applications in body armor, helmets and components for buildings and cars.